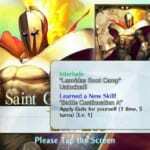 This article contains the stats, strategy, and guide for Lancer - Leonidas. We will update this as soon as the game comes out. 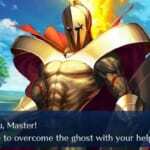 This article contains the skills, stats, growth, and ability of Leonidas of the Lancerr class from Fate Grand Order [FGO]. Leonidas’ usefulness comes in his ability to shield his other party members (in a similar manner to Musashibou). While he does not enjoy the same amount of HP as Musashibou, he makes up for it by allowing him to cast Guts on himself through Battle Continuation. This allows him to have a lot more survivability in combat. Despite this, it is important to constantly watch and heal Leonidas, as he will be soaking up more damage than anyone else in the party. It is also important to time his Battle Continuation skill correctly to allow him to recover after a fatal attack. Caution must be taken when deciding to use his NP, as he will be the one to take all of the punishment for 3 turns. As indicated earlier, timing Battle Continuation correctly is the key to having him survive for a great length of time in battle. 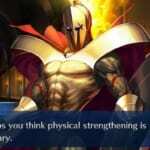 Nightingale is a good teammate for Leonidas, as she has good healing skills. Her Angel’s Cry skill is also good for boosting Buster cards for up to 3 turns. Hijikata Toshizou also synergizes well with Leonidas by having the latter soak up damage when the former’s Law of Shinsengumi skill is active (causing Toshizou to have higher bonus critical damage the lower his HP falls). This is to make sure that Toshizou can inflict maximum damage while not receiving fatal damage himself since he will be fighting with little HP remaining. 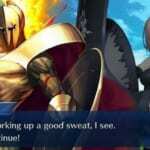 The Imaginary Element CE works well with Leonidas to allow him to use his NP the soonest possible time. Volumen Hydrargyrum will allow Leonidas to be invincible for three turns, which is perfect after using his NP which makes him the target of all incoming enemy attacks for three turns. This makes him an impenetrable shield for the duration of the CEs effects. 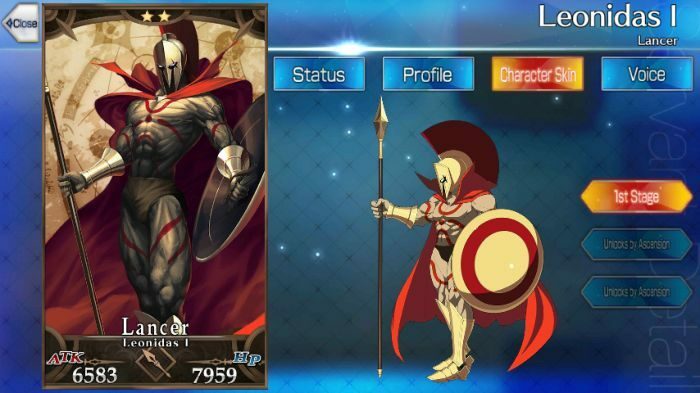 For when Leonidas is on the offensive, using Fragments of 2030 is recommended which allows him to gain more Critical Stars for every turn. 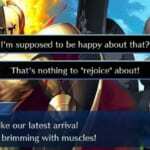 If you’re looking for Leonidas’ Interlude Quest, click here. Battle Continuation A 3 9 Grants self guts status for 5 turns. Warrior’s War Cry B 3 7 Increases party’s Buster card performance for 3 turns. Known as the king of Sparta, he is the man who led 300 men on a war against Persia. Before becoming the leader of the Spartans, he had trained in the harshest conditions known. Leonidas survived the ruthless winters and weathers. He learned how to hunt and lived by one rule: the strong are the ones who survive. As Darius III began conquering all of Greece, he dared not bow down to either Darius III or his son, Xerxes. Armed with only 300 warriors, Leonidas stepped out of Sparta to defend their home. “Spartans! What is your profession! ?” Goes his famous line. His charisma rallied all those who believed in his power. Those who believed in dying a glorious death, followed him to dine in the banquet of hell. While he did wield a Lancer as one of his main weapons, his pride and joy was a shield. Taking a large golden shield, Leonidas stood against all blows before slaughtering warriors who dared try to take him down. “For when Leonidas is on the offensive, using Fragments of 2030 is recommended which allows him to gain more Critical Stars for every turn”. Nightingale, Hijikata Toshizou, Volumen Hydrargyrum, Fragments of 2030 are not out in NA yet.